After many years pushing the boundaries and being an outlier within BigLaw, it’s only now I’m starting to see some of the real possibilities that legal innovation creates. It’s taken almost 10 years for innovation to not only be considered as possible in law, but now it’s almost essential to maintain market relevance and client satisfaction. Everyone needs to deliver more with less. 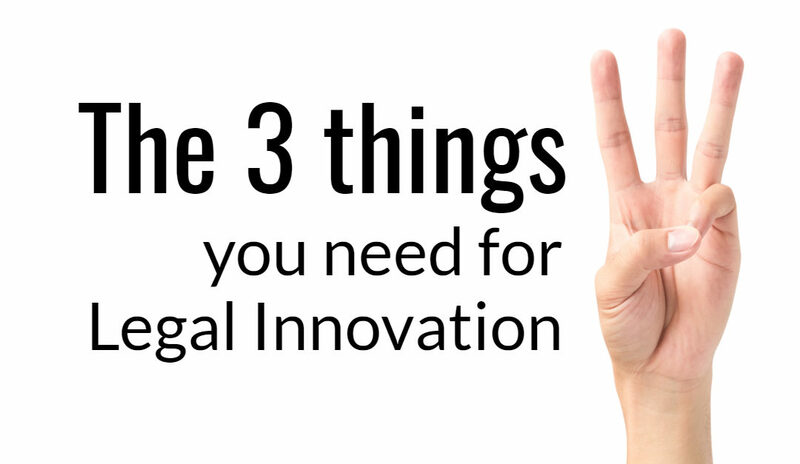 So after a decade – and much trial and error – I think I’ve worked out the three things you need to deliver legal innovation. But first, let’s forget for a moment that ‘innovation’ in law is becoming a slightly tired and overused concept. Ok yes, at the moment it seems innovation in law is getting a bad wrap – I’ve even heard it labelled a passing fad (stop that right now!). It’s not the concept gone bad; it’s the lack of implementation that’s to blame. We’re all talking about it how important it is to “be innovative”, but how many have actually implemented real innovation? Embedded it even. Developing or buying ‘off-the-shelf’ tech isn’t innovation. Changing behaviours and mindsets so lawyers actually “use” the tech is the real innovation success story. It’s important to celebrate what legal innovation has been able to achieve in a relatively short space of time. Like reducing the administrivia and mundane work of the hapless trainee lawyer, instead using AI – or rather machine learning – technology to extract, review and analyse a weeks’ worth of contracts and documents in mere minutes; and how this upskills our lawyers much faster where they spend less time looking for information and more time where it counts – using their judgement and analysis to apply to the information uncovered. Or our ability to increasingly harness big data and provide better insights for clients, like tracing root causes of risk and disputes before they occur so they can take preventative actions saving time, money and, in some cases, businesses. Or using how we can use online workflow platforms to provide greater transparency on the status of matters, so clients can monitor progress in real time, on a device of their choice, at a time that suits them. Or, and perhaps most importantly, the role that non-tech based innovation is now playing, becoming increasingly important to help lawyers and clients collaborate more effectively and design solutions together. It’s that clever combination of people, process and technology that helps embed a different way of doing things. Lawyers brains have been trained a certain way. Everything is black, or it’s white. It’s wrong, or it’s right. It’s hard for lawyers to live in the grey areas, even harder if you’re looking for a colourful flash of innovative brilliance. However, that’s exactly where the innovation lies; looking at things from a different angle, looking outside the box to see the colours. We need to create culture of innovation where lawyers can see all the colours: where it is ok to try new things, where it is ok to experiment, and importantly, where it is ok if it doesn’t work the first time. It’s not necessarily a failure, it’s just part of the experiment. Changing behaviours, opening up minds to the possibility of delivering in a different way, and rewarding the behaviours you seek will deliver the culture you need to generate ideas, and deliver innovation. Once you have the right culture, you then need to free up the lawyers from the ‘busy-ness’ of the everyday. This way they’ll be better able to focus on thinking differently and collaborate with clients to co-create solutions. In the beginning, you may need to incentivise lawyers, by offering “innovation vouchers” where they are awarded, say 50 hours, towards their billable targets to work on a new idea. The eventual aim is that innovation becomes BAU. (Actually my eventual aim is to do away with the billable hour in BigLaw all together along with changing the way we recognise, remunerate and reward lawyers, but that’s another story…). Change is hard. And risk averse lawyers, as a collective, are not huge fans of change. So you need to be patient and have a thick skin. Keep chipping away at the edges until one day you get a breakthrough. There is a tipping point in every endeavour, you just need to hang in there until they’re ready to go over the edge, with you as their parachute. Enjoy the journey, it’s a thrilling ride! 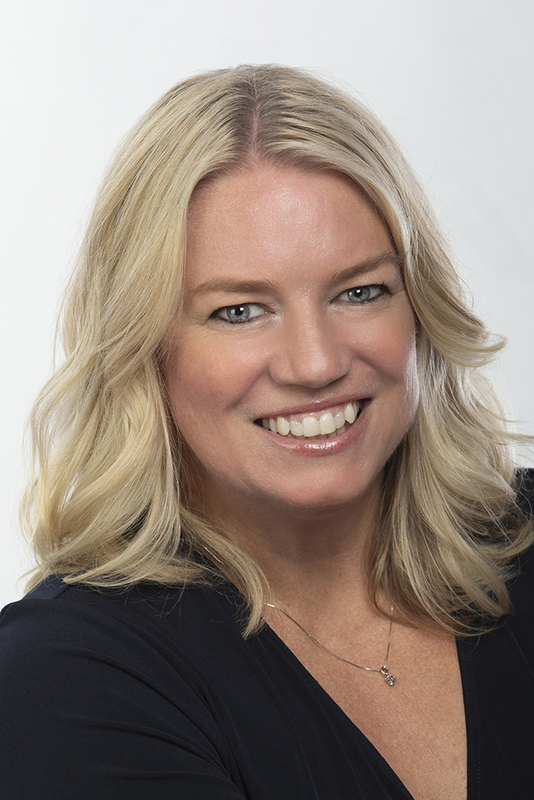 Alison Laird is currently the Head of Innovation and Project Delivery Asia Pacific for global law firm Pinsent Masons. She always wanted to be an astronaut, but somehow ended up in the legal industry without being a lawyer. Fast forward 10 years and she is still in the legal profession enjoying the seismic shift as innovation in law becomes ‘normal’. She has worked in a range of legal strategy and change management roles in Dubai, London, Brisbane and Melbourne. Before joining Pinsent Masons, she ran a management consultancy company demystifying legal innovation and improving operational efficiency for law firms and in-house corporate counsel. Now resident in Australia, her role includes regular travel throughout Asia including Shanghai, Beijing, Singapore, Hong Kong, Sydney, Melbourne and Perth. Copyright © 2017 Laird Innovations. All rights reserved.